Anilox Roller - Specifications - Travis Ltd.
An optimum engraving is achieved when all these factors are balanced in relation to the type of coating and the quality and film weight required. 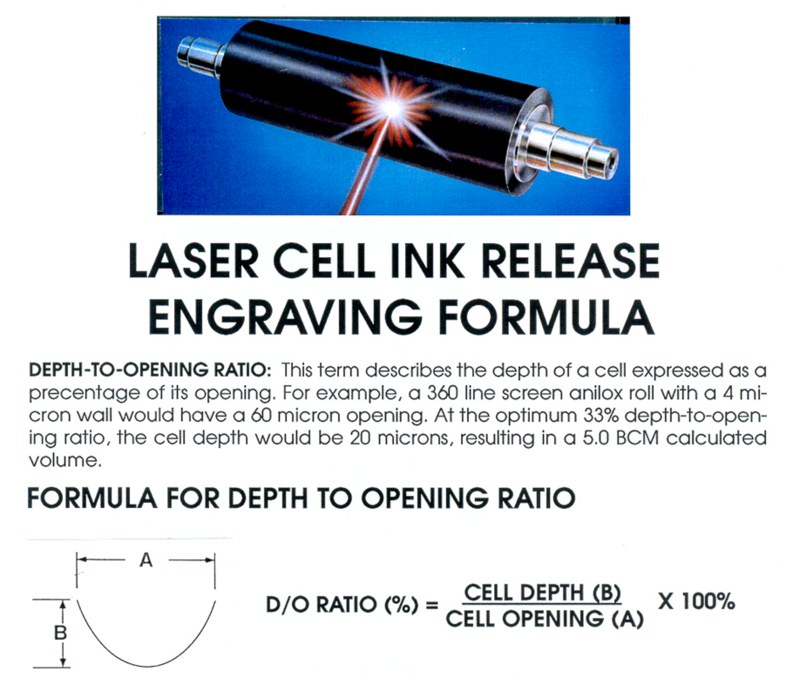 ​The screen count is quoted in lines per linear inch (lpi), and is a measure of the number of cells across the anilox. ​Typical figures are 25lpi to 200lpi, etc. the screen count is fixed in relation to the film weight of the coating, e.g. milligrams per square inch or grams per square meter. The volume of the cell is measured in bcm (CBM/in2).